A year ago, Ladies In Pigs (LIPs) was on the brink of folding as the board couldn’t find a replacement for the outgoing chairwoman. 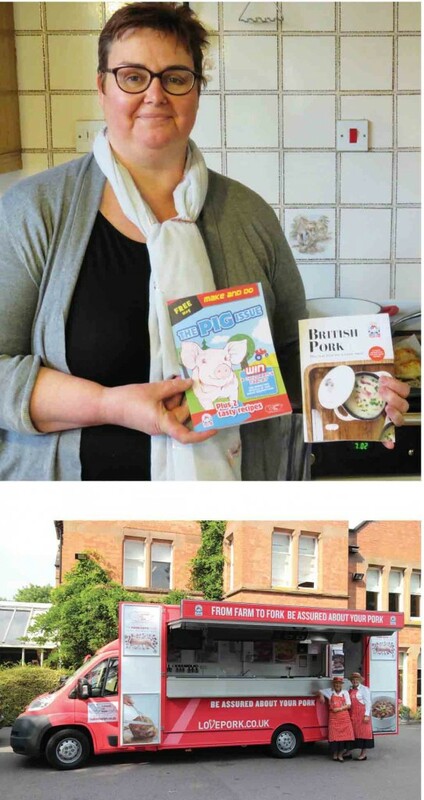 But now, a new enthusiastic leader with a passion for education has come on board with big plans to take the message of healthy, affordable British pork into schools and reach urban consumers all over the UK. The chairwoman of LIPs, who took up the role last March, saw the job advertised at just the right time. After a career spent teaching subjects including maths, English and cooking in schools and community settings and having spent three decades married to a pig farmer, Debbie had the right combination of knowledge, skills and enthusiasm to continue the group’s work. Last year the executive board, led by outgoing chairwoman Sue Woodall, was struggling to find a successor – and they had considered winding up the group, which was founded at the 1991 Pig Fair. Luckily for them, and the rest of the industry, Debbie came along. And she has big plans for the organisation. She lives with her family in the East Riding of Yorkshire, about seven miles from Hull, on a pig farm run by Nigel, her husband of 29 years. The family farm has 130 sows and finishes pigs, supplying Cranswick, which is just half a mile down the road. “The pigs have one of the shortest commutes in the country,” Debbie said. Although running the farm is her husband’s domain, Debbie has naturally been involved with it and wants to use her role with LIPs to pass on some of her ‘knowledge of the care and devotion that goes into producing good meat’. Traditionally, the work of LIPs has been done at country shows by volunteers who work in the mobile kitchen, affectionally known as Rosie, cooking and handing out samples of a wide variety of different dishes using pork and bacon and talking about why shoppers should opt for British, as opposed to imported pork. They promote Red Tractor and talk to as many punters as possible. Debbie is keen to continue this work, but also wants to ‘push the organisation forwards’ and move ‘into more urban areas, not just green and leafy places’. 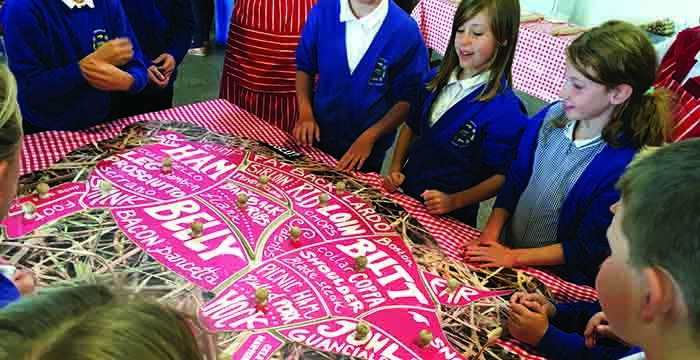 “The rural events will always have a place, as there are still a large number of visitors who are unaware of British farming practices and the assurance scheme, but a more focused urban and educational approach is the next step,” she added. This means getting a LIPs presence at a wider range of events and visiting parts of the country they haven’t covered before. Debbie has plans to arrange events in all areas of the country and at different types of events. She also wants LIPs to attend more Open Farm Sunday events this year. “We need to balance introducing new events with our regular ones,” she said. Schools are a key pillar of Debbie’s plan. She wants to get LIPs into schools across the country, to teach children about pig farming and British pork. She recently visited a school in Grimsby run by an academy that operates schools throughout the country and is now working on developing a plan to get LIPs visitors into all the schools it runs. “When you meet the children you can really reach them to tell them about how good quality meat is easily available at shops for any budget,” she said. The team differentiate the school events to suit the size of the school and location. “In Grimsby, we took two large tubs into schools, one filled with pig feed and one with pig manure,” Debbie added. “The reactions really make it fun and make it real! Debbie is the only paid member of staff at LIPs. There are another 50 to 100 active full members of the organisation who are volunteers and are paid expenses for travel when they attend events. The organisation also has financial support from more than 150 other members who cannot actively participate in events, along with corporate sponsors, in addition to the main sponsorship from AHDB. Despite the uncertain political climate, Debbie insisted there were still opportunities for the pig industry. Alongside opportunities, there are always threats and Debbie identified some of the extreme vegan organisations and animal rights groups, and the threat posed by the spread of African swine fever in continental Europe as prime among them. Although people and disease can be a threat, they are part of our landscape and provide challenges to work towards overcoming with respect, clear communication and hard work, she added. For Debbie, the mission is clear: to communicate clearly and speak to as many people as possible about how good the end product is, especially to people in urban areas who aren’t used to talking to farmers or thinking about the origin of their food. “We just need to give out a consistent message about the really high quality of British pork,” she added. Its activities focus on in-store product sampling, promotional events, and cookery demonstrations at county shows. 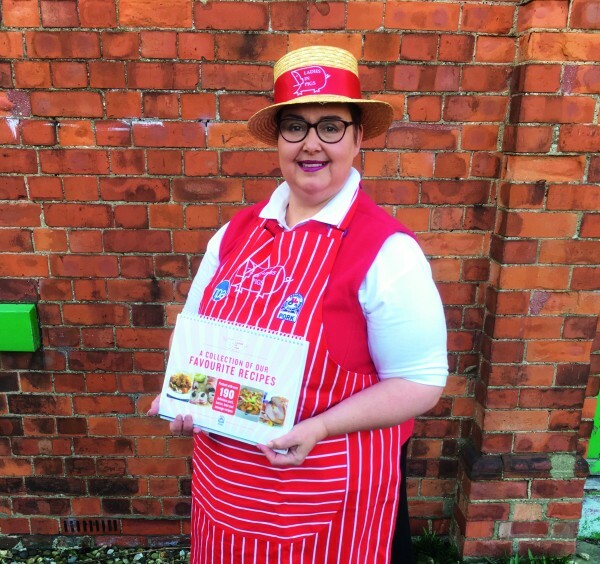 As featured in January’s Pig World, Ladies in Pigs now have two forms of membership for individuals who are as passionate about British produce as Debbie. You can join as a full active member with benefits such as voting rights, insurance and training. Fees have increased from £10 to £25 a year, the first increase in many years. For people who want to support the ladies’ great work but don’t want to get directly involved, a new Friends of Ladies in Pigs option has been introduced, costing just £10 a year. To join, Debbie can be contacted via email at ladiesinpigs@yahoo.com.